In honor of the first day of school, I want to thank all of the teachers that I had in school and all of the teachers in my life. Being that I was a teacher at one point in my life, I always get nostalgic this time of year. For me, the first week of school was always my very favorite as it was so full of promise, of possibility and of incredible enthusiasm (at least on my part). A clean slate, a new beginning, a fresh start and a new year awaited every September for me and in turn, for my students. I always began the day telling them about myself. I also confided that every year, I gave an A to every student in my class. So at that very moment, each of them had a 100 average in my class. That was my present to them for showing up on the first day of school. Many times, I’d have students’ comment that they’d never had an A before and that’s when I would begin my life lesson for the year. I’d tell them that I believed in each and every one of them. That this was their year! I would only know what they did in my class so if they were ‘troublemakers’ and I’d always use the word in a dramatic stage whisper, then this was their chance to shine because I didn’t have troublemakers. I only had great kids. I promised them that if they behaved in my class, I would sing their praises to anyone who ever spoke less of them, but that I doubted anyone would. For the kids in my class were always awesome ~ this was a place where we enjoyed being together and we showed each other respect. I told them what I expected of them and how to keep their A. I told them to do their work, come prepared and see me if they needed any help. I would always help them and be there for them. I called them my kids and many times, they received nicknames which they wrote on their papers as their names. I loved teaching 7th/8th graders. They were my favorites although I have taught every grade, even as young as kindergarteners. I had a good time in my classroom. For the most part, my treating them like adults worked perfectly. I tried to instill life lessons ~ do your work, treat everyone with kindness, be responsible, respect yourself and others and tell someone when you need help (with school or otherwise). I enjoyed them as much as they enjoyed me I think. Most of the time we had a ball in class and they learned so much because they are like sponges when you relate to them with kindness. I was blessed to have taught in the school I attended with many of my own teachers becoming my colleagues once I started teaching there. 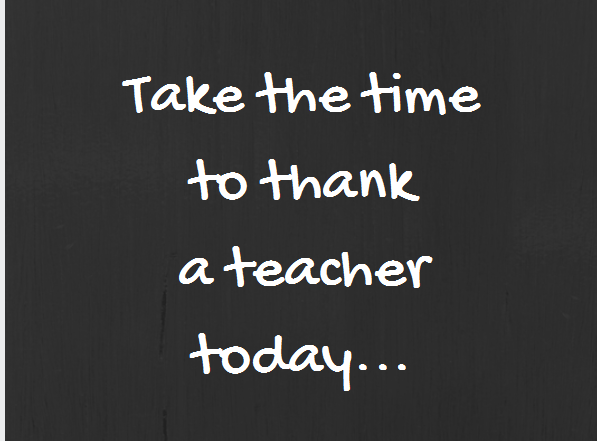 I had over 10 blissful years teaching that I will never forget. I only remember a handful of kids that I couldn’t reach for whatever reason. To this day, I can joyously tell you that I have some of my former students Facebook friend me which just delights me. To think that I may have touched another person’s life in a positive way is all I have ever wanted in life! Do you have any teachers whom you remember fondly? Please share below in the comments! Thanks BAngel for being my teacher and friend.